Nepal is a unique country, with breathtaking scenery, a rich cultural history and the kindest people you are ever likely to meet. 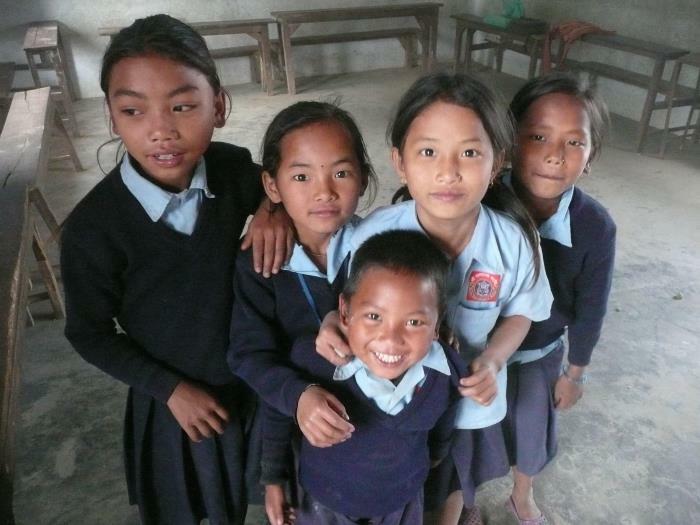 Our Nepal program puts you in the heart of the Himalayas where remote schools will benefit most from the help that our volunteers can offer with written and spoken English. 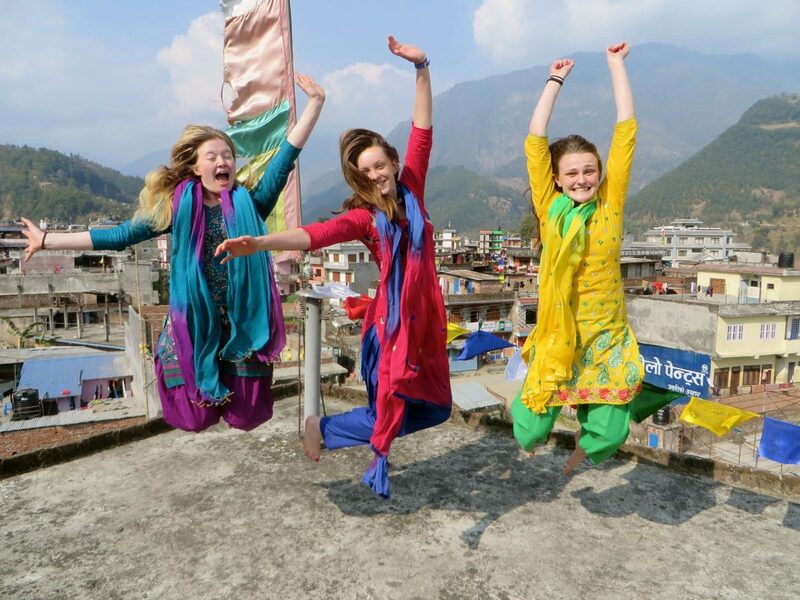 Prepare to be fully immersed in nepalese life from the moment you arrive and prepare equally for never wanting to leave. 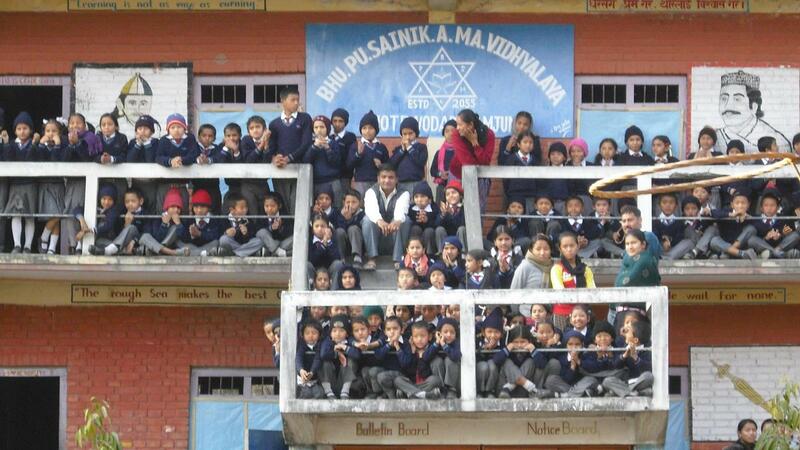 Some of our AV Alumni have shared their thoughts on their time in Nepal…. First class of the day English Lessons to 45- 9 to 16 year olds. Starting each lesson with Simon Says and singing and action songs. Given a choice they would have liked to do that all lesson! Last lesson of the day 76 students aged 11-15 teaching English and more Simon Says and number games. Rowdy but fun group. After school cricket practice preparing for the end of term match. They love cricket in Nepal! Even when you thought the ball would never come back a child would run after it down the hill and always return it! Bagel shopping at the local grocery shop. We soon became their regulars, I think we amused them! Boil the kettle on the 2 ring gas stove to wash ourselves and clothes in a bucket outside. Luxury! Soon learnt to love the bucket shower! Cook dinner by candle light as most evenings the electricity went off between 6pm and 8pm. Retire to the Gorkha Inn for drinks, cards and a catch up with the other 6 AV’s. By now the Everest beer went down very well. Not only will you experience a rewarding and meaningful gap year volunteering to help young people learn English, you will also have plenty of opportunity to travel and explore this stunning part of the world. You can choose to trek to Annapurna or the Everest base camp, visit Buddha’s birthplace or go searching for Tigers in one of Nepals many national parks. You can also go to Pokhara, go para-hawking or just para-gliding, visit Phewa lake and you will be there for the Holi festivals too. Whatever you decide to do with your independent travel time, you are guaranteed to have an amazing adventure. 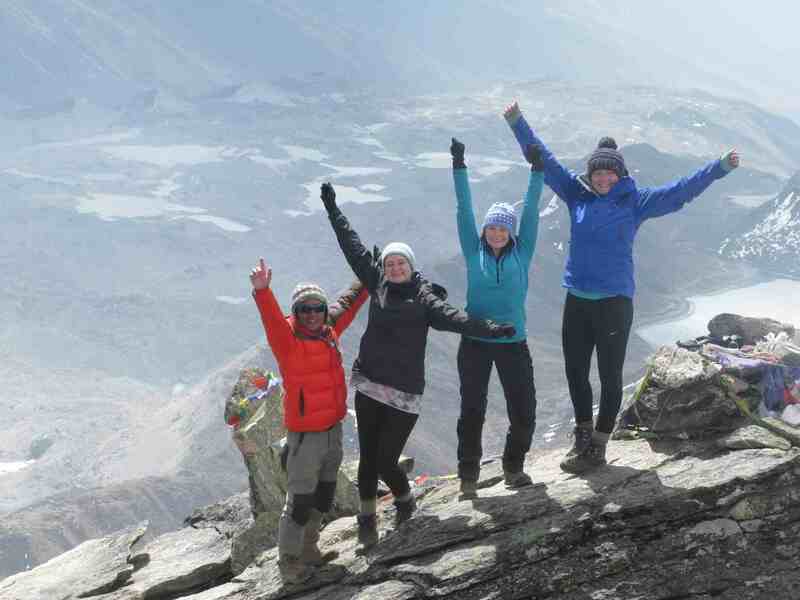 Our next departure to Nepal leaves on 3rd January 2019 so get in touch if you would like to find out more about Nepal or to book your place. You can save £250 / $250 off the cost of your flights if you travel before 31st May 2019 as we are celebrating our 25th birthday this year, contact us to find out more….